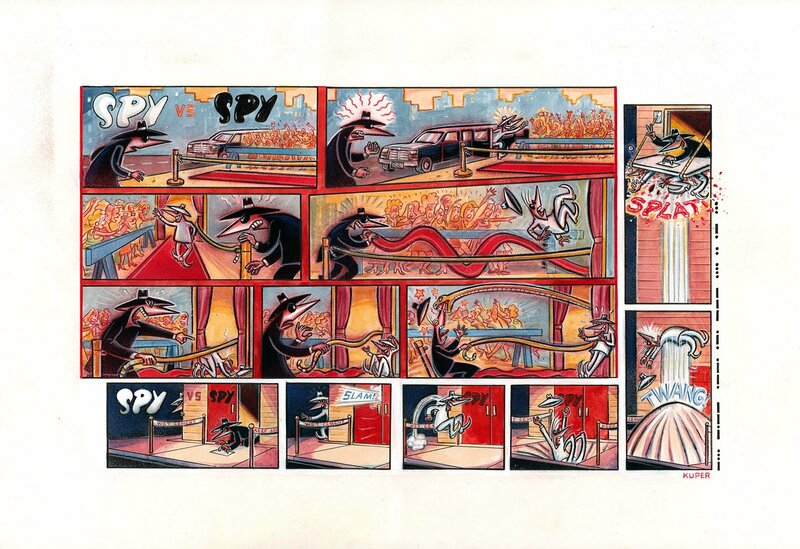 A great two page strip in Peter's trademark stencil style. Full color in Peter's trademark stencil style. red and black inks with hand painted finishes on paper. Paint on paper, 20 x 14 inches each. Excellent condition. Signed by Kuper.